The 3850 sq. metre health centre on three floors provides the Yorkshire town of Todmorden with a much needed new facility. 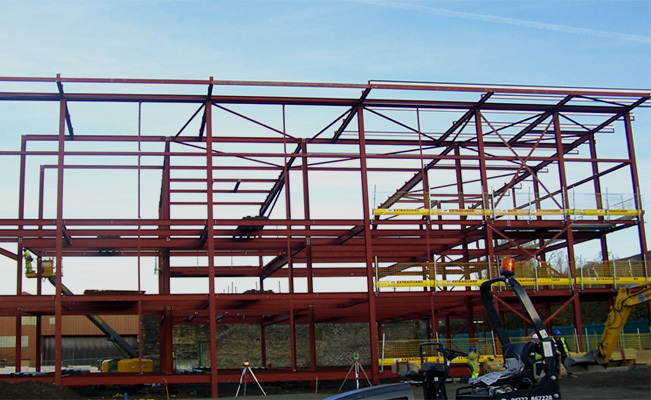 Smyth Steel Ltd were engaged by Multibuild Ltd to design, supply and erect the structure and were on-board at an early stage to work closely with the design team. Smyth Steel also supplied metal decking, edge protection and fitting of precast stairs. This is our second project for LSP and Multibuild retaining the same team and we look forward to a continuing the relationship.